Temporomandibular disorders (TMD) are common orofacial pain conditions and their diagnoses and management are clinically challenging. TMD patients are treated mainly in primary care. 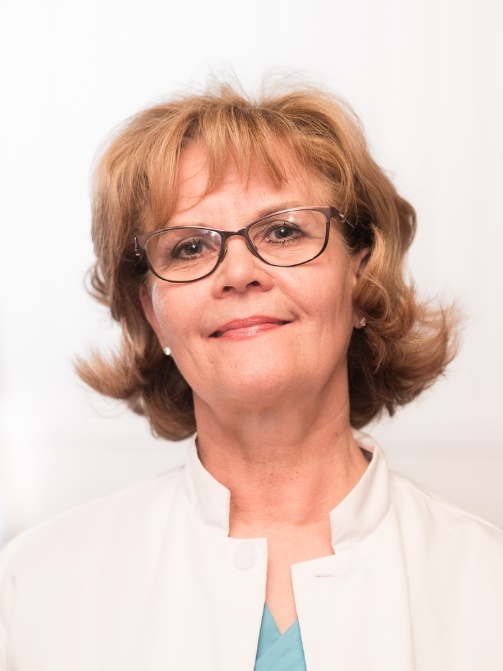 As an attempt to tackle the challenge in serving facial pain patients, the first primary care based facial pain unit was founded in 2003 as part of public dental primary care of Vantaa, Finland. We found that graded chronic pain scale disability scoring can be used as a simple screening instrument in primary health care to identify patients with different, clinically relevant psychosocial profiles. Awareness of these differences may be of help in the planning of individualized treatments. Given that most patients seeking care for facial pain are functional TMD pain patients, the differences in costs between therapies, e.g. conservative TMD treatment using occlusal splint vs. self-care, are important in cost-economical perspective. Regarding dysfunctional TMD patients, neuropathic and other pain patients, developing multidisciplinary collaboration with health care professionals may increase the effectiveness of health care system, decrease the risk for pain chronicity, and save costs. Pain management unit in primary health care could be a useful model to serve facial pain patients. Ongoing, studies of simple treatment methods such as biostimulative laser have shown promising results in facial pain management. N Vasudev Ballal is graduated with a bachelor’s degree of Dentistry from the SDM College of Dental Sciences, Dharwad, Karnataka, India and master’s degree in the specialty of Conservative Dentistry and Endodontics from Manipal College of Dental Sciences, Manipal University, India. 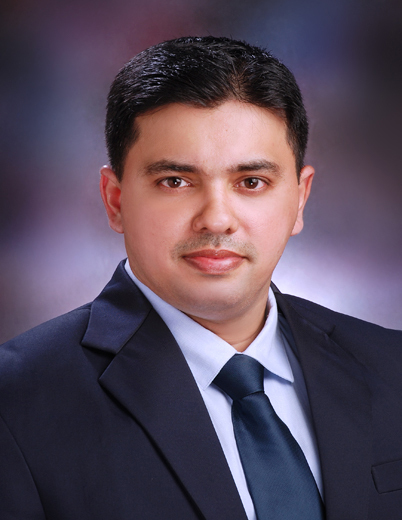 He then acquired PhD degree, in Endodontics from Manipal College of Dental Sciences, Manipal University, Manipal, India. Currently, he upholds the position of Professor in the specialty of Conservative Dentistry and Endodontics. He has created new vistas by collaboration with several renowned international universities. His expertise in the field has authorized him to hold, the post of an Editorial Board Member of 18 international journals and reviewer of 62 international journals. 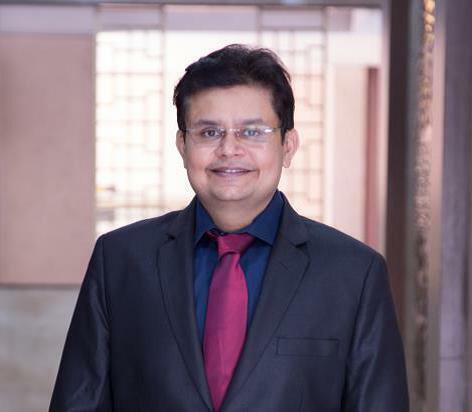 He is the only Indian who received the best reviewer award out of top 10 percentile in the world by American Association of Endodontists and Elsevier publishers in 2014 and 2016. He has 130 international publications to his credit. He was the first to explore the use of maleic acid as a de novo root canal irrigant in the endodontic specialty. He has authored a chapter on smear layer in text book “Essentials of Endodontics”. The success of endodontic treatment depends on the eradication of microbes from the root canal system and prevention of re-infection. Mechanical instrumentation and irrigation are considered the most important factors in the eradication of microbes from root canal system. Irrigation is also the only way to impact those areas of the root canal system not touched by mechanical instrumentation. During root canal therapy, endodontic irrigant helps to remove the debris, dissolve organic tissues, kill microbes, and remove the smear layer. There is numerous root canal irrigant which are used in day to day endodontic practice. This lecture updates the commonly used root canal irrigant in endodontic therapy. Sharad V Kumar has completed his MDS (Orthodontics) from Mumbai, India. He is a digital marketing specialist and Founder President Digital Smiles- a Digital Marketing Academy for Doctors and Orthodontists, a wing to teach doctors about digital media marketing and continuing dental education. He was the keynote speaker at the prestigious Famdent show at Hyderabad 9-10th September 2017, keynote speaker at the prestigious World Dental show at Mumbai 6-8th October 2017 and keynote speaker at the Indian Dental Conference at Bhubaneshwar 2018. Online presence, marketing ethically, online reputation management, as an Orthodontist, it’s high time that we learn, know and implement…and follow what’s new in 2018. There are several ways orthodontist can use digital marketing to benefit their marketing efforts. The use of digital marketing in the digital era not only allows for orthodontist to market braces and aligners, but also allows for online customer support to make patients feel supported and valued. Digital marketing has become an increased advantage for orthodontist and increasing their awareness amongst people. It is now common for patients to search for an orthodontist by using these means and post feedback online through social media sources, blogs and websites on their experience with the orthodontist. A clinic website with search engine optimization, social media marketing, e-mail and mobile marketing to name a few, can be used. Tools for digital media marketing: search engine optimization, search engine marketing, social media optimization, e- mail marketing, mobile marketing can help orthodontist to market their clinic in an ethical manner and help in their online reputation management. In times when everyone has an easy access to internet through various free plans available on smart phones and computers, its high time for orthodontist to integrate digital media marketing in dentistry and to make use of it to grow professionally. 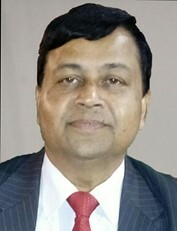 R K Singh has completed his MDS from KG Medical college, Lucknow in 1985. He joined KG Medical University in 1991 as Assistant Professor and from 1999 working as Professor in the Department of Oral and Maxillofacial Surgery. He published 75 papers in national and international journals and supervised more than 100 MDS, MS and PhD thesis as guide and coguide. He has been serving as Chief Advisor of National Journal of Maxillofacial Surgery. Introduction: Mandibular fractures that occurs between mandibular foramen and mental foramen can result in injury to the inferior alveolar nerve. Various factors have been reported to influence the incidence of inferior alveolar nerve injury in mandibular fractures including site and type of fracture, extent of displacement and type of treatment etc. Material & Method: This study comprised of 74 patients having mandibular fractures, attending the outpatient department and emergency unit of Department of OMF Surgery, King George's Medical University, Lucknow. Patients were diagnosed based on clinical examination as well as radiographic interpretation. Informed consent was taken from each patient to participate in the study. Patients were randomly divided into two groups: group A: number of patients–37, patient underwent arch bar placement and maxillo-mandibular fixation. Group B: number of patients– 37 (considering 18.91% drop out ratio). Patients underwent osteosynthesis using 2.0 mm miniplate. Clinical evaluation was done as, pain (VAS Scale), swelling, malocclusion, step deformity and tenderness mobility of segments and neurosensory testing of inferior alveolar nerve injury at the interval of one week, 1.5 months, three months, six months and 12 months post operatively. Displacement of fracture was assessed on panoramic radiograph by measuring displacement of inferior alveolar canal in millimeter. Result & Discussion: In this study 79.1% of the patients were males in group A and 94.2% in group B. All patients were divided into three groups depending upon the displacement of inferior alveolar canal. In group A 37.5% patients presented with paraesthesia when Displacement was 0-4 mm, 82.4% patients presented with paraesthesia when displacement was 4.1-8mm, 100% patients presented with paraesthesia when displacement was >8.1 mm. In our study, preoperatively in group A 29.6%, 63.0% and 7.2% patients presented with displacement of 0-4mm, 4.1-8 mm and >8.1 mm of IAN canal respectively while in group B 21.4%, 57.1% and 21.4% patients presented with displacement of 0-4 mm, 4.1-8 mm and >8.1 mm of IAN canal respectively. Patients with 0-4 mm displacement showed recovery within 1.5 months in groups A and B in group B 72% patients with displacement of 4.1-8mm showed the rapid recovery of inferior alveolar nerve injury at the period of 1.5 months while in group A 28.5% patients showed the recovery in 1.5 months and 78.5% patients showed recovery in three months. In group B with >8.1mm displacement of IAN canal 55.5% patients showed recovery at three months and in group A none of the patients showed recovery in three months. F C Badea is a graduated, Faculty of Dental Medicine, Ovidius University from Constantza, Romania, 2012. In the same year he started the residency in Dental Prostehtics wich he graduated in 2015. Between 2013-2017 he started and finished the PhD studies. In 2013 he also become Assist.Prof., at the Faculty of Dental Medicine, Ovidius University from Constantza, Romania. He was passionate about research and it materialised with articles published in different speciality literature and also presentation awardes at different national and international congresses (APDC second prize, Hong Kong). Introduction: Interaction between bacterial species, host cells and biological active factors, such as cytokines are currently considered as the basis in peri-implantitis. Interleukin-1 (IL-1) and interleukin-6 (IL-6) are pro-inflammatory cytokines present in crevicular fluid around dental implants (PICF), that can play an important role in periodontal tissue destruction. Aim: The purpose of the present study was to compare the levels of IL-1 and IL-6 in PICF and to assess if there is a correlation between these two interleukins and the orodental clinical status in peri-implantitis. Methods: The study group was composed of 14 subjects (eight males-57.2% and six females-42.8% aged 30-45). Healthy implant (five subjects) was considered if the implant had no bleeding on probing (BOP=0), probing depth ?3 mm, normal gingival index (GI=0); peri-implantitis (nine subjects) was considered when we identified bleeding on probing (BOP=1), probing depth ?4 and gingival index (GI?1). Clinical exam was performed in the Department of Oral Rehabilitation, Faculty of Dental Medicine from Constanta; PICF samples were collected and the quantitative determination of IL-1 and IL-6 was made by using ELISA (Salimetrics, USA). Results: In our study we found that IL-1 and IL-6 levels were significantly increased in peri-implantitis versus healthy implant; the results showed that there are significant differences between IL-1 (p<0.001) and IL-6 (p=0.010) mean values in the two groups of patients. There is also a high positive correlation between probing depth and IL-1 (p=0.0008; r=0.904), IL-6 (p=0.02; r=0.717) levels in peri-implantitis patients. Considering that only after extensive demineralization the radiographs may be relevant to diagnosis and based on our results, we appreciate that IL-1 and IL-6 can be used for peri-implant tissues evaluation. The succes of the oral rehabilitation as a final goal depends on the possibility of peri-implantitis evaluation using IL-1 and IL-6. Conclusions: Interleukin-1 and interleukin-6 can be used as biomarkers for preventing, early diagnosis and correct monitoring of the peri-implantitis patients. Sealing ability of restorative materials? 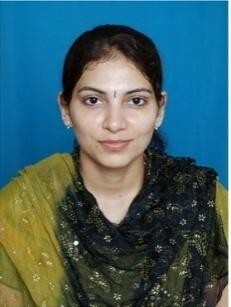 Vanishree has completed her masters in Pediatric Dentistry from Rajiv Gandhi University of Health Sciences (India). She is working as a Lecturer at SEGi University, Kota Damansara Malaysia. She has published more than 18 papers in reputed journals. 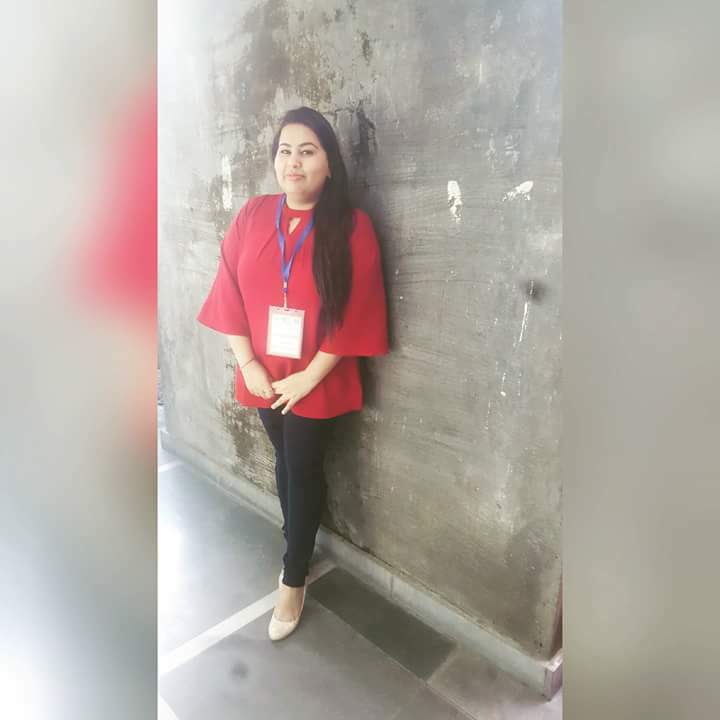 She gave six presentations on original research at National Conference of Indian Society of Paedodontics and Preventive Dentistry. Endodontic mishaps or procedural accidents are unfortunate occurrences that can occur during treatment. Furcation perforation is one of the causes for endodontic failure. Several materials have been used to repair perforations like amalgam, zinc oxide eugenol cements, composite resins, resin-glass ionomer, hybrids, MTA and the most commonly used glass ionomer cement. The new materials named MTA repair HP — high plasticity MTA (Angelus®, Brazil) with the intent to improve some of those characteristics and Biodentin, a promising material for dentin- pulp complex regeneration have recently been introduced. Biodentine has the potential of making major contributions in the field of dentistry by maintaining the teeth in a healthy state through numerous exciting clinical applications. MTA repair HP and Biodentin need to be evaluated for repairing perforations. We have compared and evaluated the sealing ability of three different materials when used to repair the furcal perforations in permanent molars using stereomicroscope. A standard access opening was made in 42 extracted permanent molars and perforated at the center of the pulp chamber with the standard diameter. Three groups were made of 15 teeth each for glass ionomer cement, MTA repair HP and Biodentin followed by dye penetration and two teeth as positive controls. Teeth were stored in room temperature for 24 hours to allow final setting. Teeth were sectioned longitudinally and observed under stereo microscope for microleakage. The study demonstrated that, Biodentin showed good sealing ability compared to MTA repair HP and conventional glass ionomer cement. A new high plasticity cement called MTA repair HP and Biodentin were compared against most commonly used conventional glass ionomer cement for perforation repair with minimal laboratory procedures. Jothi Varghese has completed her graduation in Dentistry and post-graduation in Periodontology from the renowned Manipal College of Dental Sciences, Manipal Academy of Higher Education, India. 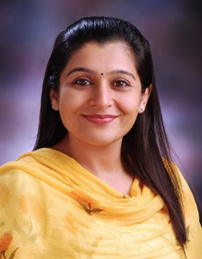 She has also completed a certificate course on Laser Dentistry and Bioethics and currently holds the post of an Associate Professor in the Department of Periodontology, MCODS, MAHE, India. 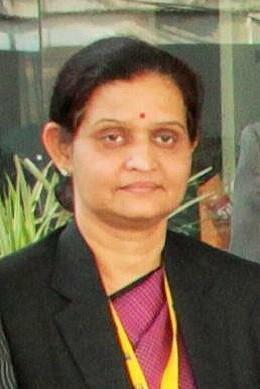 She is a reviewer to national and international journals and has around 35 papers published in reputed journals. The mouth harbors a rich, diverse and complex microbial community which causes a series of inflammatory consequences of periodontal tissue eventually resulting in alveolar bone loss and tooth-loss. There are various antimicrobial agents that have been used for targeting these microorganisms however with some limitations. Recently, nutrients rich in omega 3 polyunsaturated fatty acids have been utilized considering their health benefits and antimicrobial benefit. Hence, the aim of this study was focused to investigate the antimicrobial effect of omega 3 extract on the periodontal biofilm. A total of 15 extracted human teeth was used for the study. The teeth were decoronated and split longitudinally to form 30 radicular halves. Following which, biofilm was cultured onto the radicular halves. The radicular halves were then randomly divided into three groups. Group I: tooth specimens treated with test agent (omega 3 extract), group II: tooth specimens treated with 0.2% chlorhexidine (CHX) and group III: tooth specimens treated with deionized water. The reduction in antimicrobial load was checked by colony forming units (CFU). The results of the study demonstrated the antimicrobial effect of the omega-3 fatty acid extract to be like that of 0.2% chlorhexidine. Hence, omega-3 polyunsaturated fatty acid can be utilized as an adjunctive antimicrobial aid for periodontal therapy. Are oral health and systemic diseases connected?? Sania has done her MDS in Department of Periodontology and Implantology. She has authored and co-authored many scientific publications both at national and international levels. She is a life member of Indian Dental Association. She also holds copyright for a book. It is more than a century since a connection between the mouth and the rest of the body first appeared in the medical literature. Recent evidence-based literature again strongly suggest that oral health is indicative of systemic health supporting the association between periodontal disease and systemic conditions. This has led to the evolution of new branch in Periodontology namely PerioMedicine. The nature of the association between the systemic disease and periodontal disease is considered bidirectional. Periodontal disease can be initiated or deteriorated by certain systemic diseases but can also initiate or deteriorate certain systemic diseases. Periodontal diseases can produce numerous changes in systemic health by changing the blood chemistry with raised inflammatory mediators, proteins, lipids in serum. Hyperlipidemia and thyroid disorders are linked with systemic inflammation. Periodontitis has been found to release inflammatory cytokines to systemic circulation. So, it could be related with these two systemic conditions. The aim is determination of changes in periodontal status obtained by scaling and root planning on serum lipid and thyroid profiles. 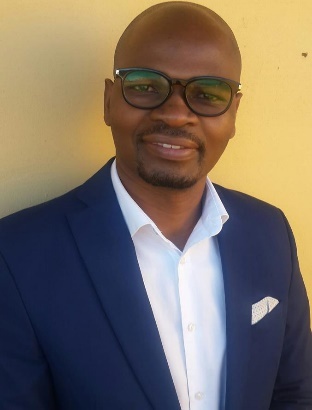 Sandile Cyril Nxumalo has begun his illustrious dental career in Klerksdorp, North-West province, having qualified at the University of KwaZulu-Natal, SA in 2000. He opened his chain of private practices, Dent O Morphosis Inc. in Durban, 2000. From 2009 till 2012 he, pursued lecturing at the Durban University of Technology (DUT), prior to taking on the role of coordinating the dental assisting programme. He is also serving as the Deputy-Chairperson for the same Dental Assisting Advisory Board. He has held many leadership positions during his professional career, most notably with the South African Dental Therapy Association (SADTA), where he has served as both the Chairperson and Deputy Chair, as well as the Head of Education and Development sector. He is currently the Treasurer-General for same. The aim of this lecture is to highlight the importance of dental therapy in the dental team in preventative/curative approach especially in developing countries. Research has found that primary dentistry is becoming more and more relevant, more so in developing countries where cosmetic dentistry at a later stage might be deemed unaffordable to a few. This especially true since more health insurance funders are becoming more conservative in their funding too. Dental therapy was introduced initially in New Zealand in the 1920's. The aim of this rather fundamental mid-level profession was to pro-actively tackle oral health issues from primary care perspective, thus preventing millions of people from losing their teeth - translating to expensive cosmetic dental care. This approach has proved to be more successful with lesser cases progressing to the tertiary stages of treatment including dentures, root canal therapy, crown and bridge work, etc. It has also given much time for dentists to focus on what they are good at...specialised dentistry. Since its inception, the lecture will investigate the scope of practice, curriculum templates, success/failures and the future of dental therapy, not only in Africa but across the globe. 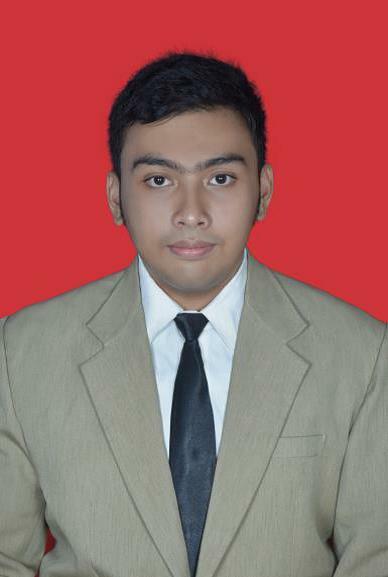 Muhammad Nadhir Alkaff has completed his bachelor’s degree in Faculty of Dentistry University of Jember, Indonesia and currently, he is working in Dental Hospital University of Jember. Diabetes mellitus (DM) is a chronic metabolic disease characterized by hyperglycemia caused by pancreatic insulin production deficiency or ineffectiveness of the insulin produced. The objective was to determine the effect of fetal tooth germ growth and development disturbance due to diabetic hyperglycemia during pregnancy. About five pregnant rats were induced by diabetes using 40 mg/kg bw streptozotocin intraperitoneally and five pregnant normal rats as a control group. Pregnant rats with blood glucose level ?200 mg/dl were considered as diabetes group. Blood glucose level was measured before, after diabetes induction and just after birth. One rat offspring sample taken from each mother rats using simple random sampling and euthanized on 1st day postnatal. Rat offspring right maxilla was taken and decalcified to observe tooth germ growth and development. Each tissue samples in paraffin-embedded tissue was cut 4 µm in thickness as many three slides for stained using haematoxylin-eosin, Mallory’s trichrome and insulin-like growth factor 1 (IGF-1) immunohistochemistry staining. Pregnant rats were induced by streptozotocin showed increasing in blood glucose with average 410±67.5 mg/dl and reduced after birth to 271±66.9 mg/dl. Rat offspring who born from diabetic mother showed lower body weight which is statistically significant, histologically delayed of enamel matrix formation, delayed of tooth development stages, and reduced in tooth size compared to control group. Therefore, seems different of IGF-1 expression in inner enamel epithelium tooth germ between two groups. Rat offspring who born from diabetic mother suggested had tooth germ growth and development disturbance. 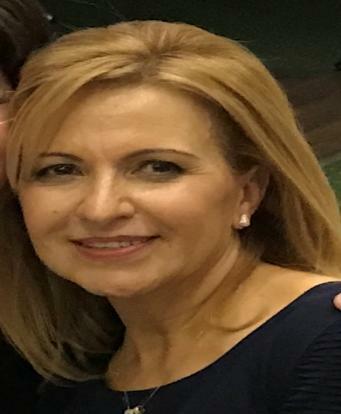 Crunchy Jane K Baraga is a graduate of University of the East 2011, she has completed her master’s degree at the same university and earned her next degree as Master of Science in Clinical Dentistry in the field of Prosthodontics. She attended various trainings both in her country and abroad, she had a hospital training at Korea University Anam campus. 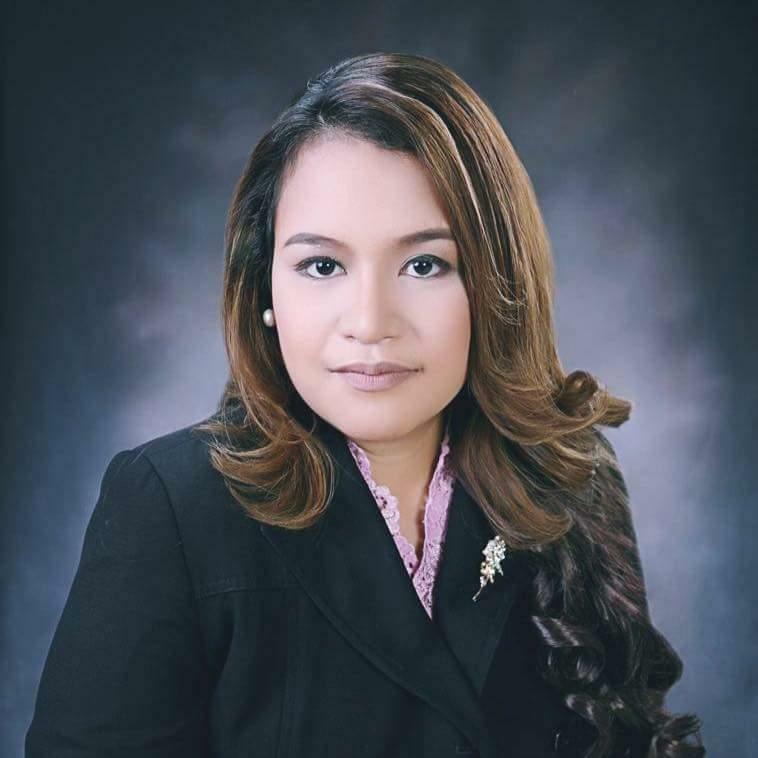 She is also a former faculty of Emilio Aguinaldo College and De Ocampo Memorial College, and an affiliate Member of Philippine Prosthodontic Society. Currently, she is practicing on her family’s private clinic at Clinic De Manila, on-call dentist for various colleagues in the Philippines, and one of the Consultant for their family’s line of business Nilo Dental Laboratory. A 35 years old transgender patient is treated for esthetic and function replacement of old porcelain fused to metal crowns to CAD-CAM Zirconium layered crowns. The treatment procedure was done at the infirmary of prosthodontic department UEGS. De-crowning and implant placement are done through a multi-disciplinary team. A surgeon, a prosthodontist and the final restoration is fabricated using a CAD-CAM machine for its coping at one of the biggest dental laboratories in the Philippines. Patient’s management is challenging because of the behavior itself. Oral cancer is major health problem in India and in some parts, it represents more than 50% of all cancers. Most of these patients receive chemo, radiotherapy with or without surgery for treatment. A clear majority of them also develop oral mucositis a debilitating adverse effect of chemoradiation. The objective of this study was to investigate whether the application of honey in mucositis confers any significant improvement in the quality of life and lesions of the oral mucositis. It was found to be beneficial, honey could provide a simple, elegant and cost-effective solution to this troublesome health problem thus benefiting many patients. 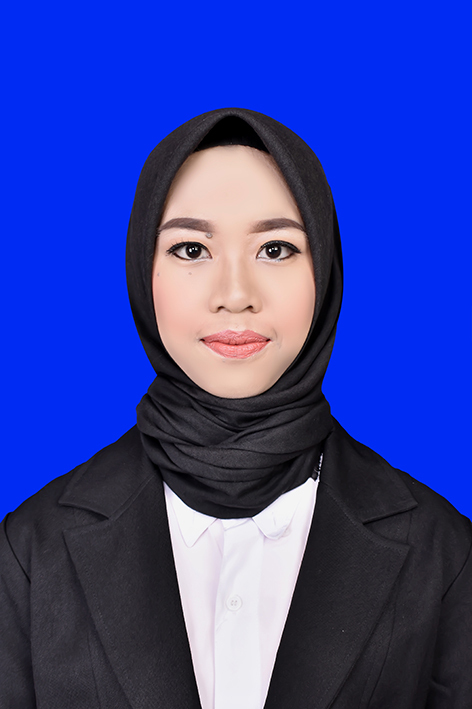 Azimah Nurin Nafilah has completed her study of bachelor degree in Dentistry, Brawijaya University, Indonesia. She has followed many dental competitions and became a speaker in International Dental Conference of Suatera Utara, and also she got award of the most Outstanding Poster Presentation in Hiroshima University, Japan in 2018. Tooth extraction can damage oral tissue so that we need treatment to restore chewing, aesthetics and speech function. Osteoclasts play an important role in bone healing to start of new bone formation. Lime peel contains many active compounds such as flavonoids, vitamin C and tannins that are antibacterial, anti-inflammatory and antioxidants that can accelerate the wound healing process in post-extraction of tooth sockets. The purpose of this study was to determine the effect of lime peel decoction (Citrus aurantifolia) on the amount of osteoclast alveoli in white rat (Rattus norvegicus) strains Wistar after tooth extraction. This research was conducted with laboratory experimental approach in vivo. The design of the research used is the random post-test randomized control group design. The animals were divided into six groups, they are the non-boiled control group with lime peel decoction (K1, K2, K3) and the lime peel decoction treatment group (P1, P2, P3), were decaputed on the 7th, 14th, 21st day and make tissue histology preparations to calculate the number of osteoclasts. Analysis of data using one-way ANOVA showed no significant difference between K1 and P1, K3 and P3 and showed significant difference between K2 and P2. Pearson correlation test showed a strong relationship with the negative direction which means the longer the decoction time the number of osteoclasts decreases. Based on this study, it can be concluded that the lime peel decoction (Citrus aurantifolia) affects the amount of osteoclast alveol in white rats (Rattus norvegicus) of Wistar strains after tooth extraction.